Henry VIII was the first English king to employ artists to paint portraits of the royal family. Henry was not very impressed with English artists and therefore recruited them from Europe. The most important of these was the German artist, Hans Holbein, who was appointed in 1536. Henry and other members of the royal family were unwilling to spend long periods of time sitting in front of Holbein while he painted them. Holbein was normally only allowed one three-hour sitting and in this time he made sketches in black ink and coloured chalks. He would then spend the next few weeks painting the picture in oils. After Hans Holbein had finished a portrait of Henry that he liked, his assistants would make several copies of the painting. Some of these copies were displayed in England while others were sent to foreign monarchs. As well as life-size paintings, Holbein, like other court painters, also produced miniature portraits. Miniatures were usually painted in water colours. Placed inside frames made of gold and precious stones, these miniatures were designed to be worn as pieces of jewellery. After the death of Jane Seymour, Henry began to look for another wife. His Lord Chancellor, Thomas Cromwell, wanted England to form an alliance with the Protestants in Saxony. One way Henry could do this was by marrying Anne of Cleves, the daughter of the Protestant leader. Duke John Frederick. In 1539 Henry was sent paintings of Anne but he suspected that the artist had exaggerated Anne's beauty. 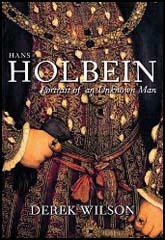 Henry therefore sent Hans Holbein to Saxony to paint her picture. On the evidence of Holbein's painting. Henry decided to sign the marriage contract. However, when Anne of Cleves arrived in England for the wedding Henry was very disappointed with her. Although he agreed that Holbein had captured her physical likeness. Henry did not like her personality. Another important artist of the Tudor court was Levina Teerline. Levina was born in Bruges and was recruited by Henry VIII in 1546. Her work was much admired by Elizabeth I. We know from court records that Levina presented a new portrait of Elizabeth every New Year's Day. 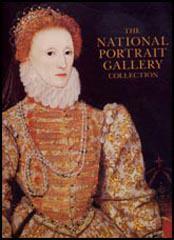 The most important English artist of the Tudor period was Nicholas Hilliard. He specialized in painting miniatures and was commissioned to paint several of Queen Elizabeth. When Elizabeth was considering marrying the Due d' Alencon in 1577, she sent Hilliard to France to paint his picture. However, after seeing his portrait she decided against the marriage. Henry VIII... was very tall, about six foot three or six foot four, with broad shoulders... When he was a young man... He wore his red-gold hair long, and was clean shaven... He had a thin... high-pitched voice and... small, piggy eyes. At eighteen his face had a feminine beauty, with pink and white cheeks... At twenty-three, he was six foot two, 42 inches round the chest, 35 round the waist; at fifty, his chest would be 57 inches and his waist 54. Elizabeth... ordered all public officers to seek out and destroy portraits that gave "great offence" to her.